HomeFeaturesIs veganism here for good? The massive spike in interest in veganism is hard to miss at the moment – so is there an opportunity for local retailers to cash in, or will the trend prove to be a flash in the pan? SLR finds out. Once considered the preserve of extremists, tree-huggers and hippies, veganism is rapidly establishing itself as big business in the UK. Or at least that’s the impression you would get by reading the news or watching TV recently. But just how big is the vegan opportunity? And is it one of those trends that will blow over in six months? For many, veganism is simply an attempt to live more healthily and more ethically while minimising their impact on the planet. For others it’s more akin to an evangelical religious vocation. Regardless of where you stand on the matter in an ethical sense, the key question as retailers is whether investing in upping your vegan game in-store is a worthwhile use of your time and money. Unlike vegetarianism, its softer and more socially rounded cousin, veganism often provokes extreme reactions from its adherents and detractors, as a quick search through Twitter for any vegan-related hashtag will reveal. One high profile recent example saw then Waitrose Food magazine journalist William Sitwell sacked for an ill-judged rant where he proposed “killing vegans”. He has since been recruited by The Telegraph as a writer and commentator. Answering that question is not as simple as it might appear. First off, it’s very difficult to get reliable data on the size of the vegan market and, equally importantly, the geographical breakdown of the market. It seems logical that retailers in London, Edinburgh and Glasgow might be keen to board the vegan bandwagon, but what about those in Auchtermuchty or Freuchie? Are there enough vegan shoppers in those areas to make it worth a retailer’s while to order a new range and knock together a new social media strategy? 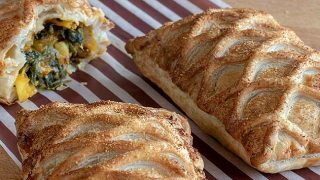 Instinctively, you would probably agree – but how then do you account for the biggest vegan success story of the last month or two, the Greggs vegan sausage roll? If you happened to have been at the Greggs marketing meeting when that particular bit of NPD was first proposed, chances are you’d have raised your eyebrows and said ‘next’. According to a shopper survey of over 2,000 people last year by IGD, a perhaps surprising one in two grocery shoppers follow, or are interested in following, a plant-based diet. This rises to 68% among 18-24-year olds, suggesting plant-based diets in general and veganism in particular is more attractive to the next generation of shoppers. Almost half (45%) said it was because they considered a plant-based diet ‘healthier’ while 41% put it down to ethical concerns with 30% saying it is ‘better for the environment’. It may of course be that the next generation ties veganism into a much broader approach to ethically improved living that might also encompass what they see as positive change in other socio-political areas like sustainability and consumerism – but the fact remains that more and more younger shoppers seem to be interested in veganism, whatever the reason. Having said all of that, the same survey found that only 2% of British grocery shoppers claim to actually follow an exclusively vegan diet. That may not matter as much as it appears to however, as IGD is under the impression that an increasing number of shoppers are embracing part-time veganism. Henry also reiterates that it’s the younger, more “socially engaged” generation that are more likely to embrace veganism full-time or part-time. She also cites the growth of celebrities and health influencers sharing recipes and tips online, as well as the growing popularity of movements such as Veganuary and meat-free Mondays, as evidence that the trend could continue to grow as vegan products become more mainstream. 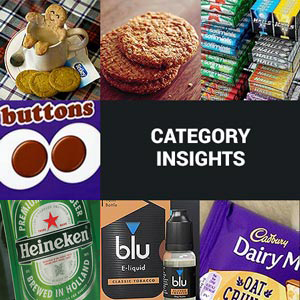 One decent way to work out whether a short-term trend is likely to become a long-term norm is to keep an eye on what the major suppliers and manufacturers with the big bucks are doing. While this isn’t a fail-safe method – most of the world’s NPD fails after all – it at least gives an indication of how much faith there is in a new market like veganism. As a trade magazine, we are lucky to get a flood of NPD and industry news into our inboxes every day and another quick search reveals a solid wall of vegan-related press releases. As a rule, these releases fall into one of three categories. 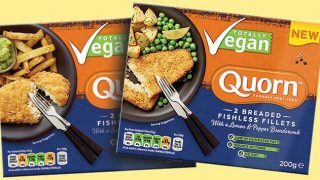 Firstly, there’s the companies that have long been focused on vegan products and don’t want to miss out on the new upswing in interest (Quorn). Then there’s the big hitters keen to get something vegan onto the market as quickly as possible, just in case (Bird’s Eye). And finally, there are those who have realised that there products have always been vegan (though not necessarily on purpose) and are keen to point that fact out (Marmite). 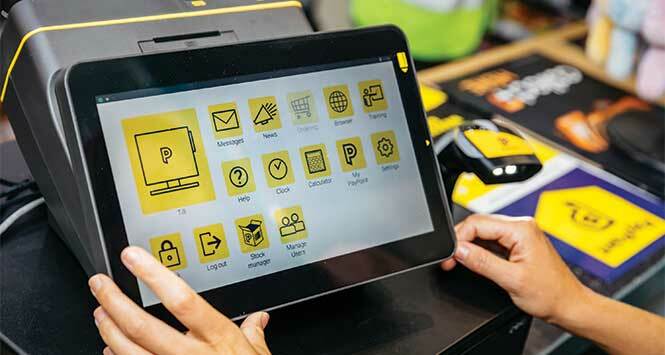 Whatever the reason, it makes sense to target existing and new products at what has the makings of a significant and growing market. Quorn Foods has opened the world’s largest meat alternative production facility in the north-east of England. The factory expansion of 9,500sq m doubles production capacity of Quorn’s core products, and the facility will produce 1.33 million packs of Quorn products per week, equivalent to the meat produced by 1,600 cows. 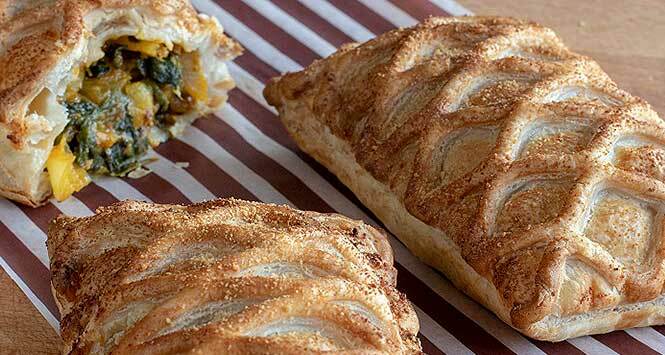 Aryzta Food Solutions has launched a new four-strong range of vegan savouries including a Vegan Sausage Roll, a Vegan Spicy Chickpea & Kale Pithivier, a Vegan Spicy Chickpea Roll and a Vegan Saag Aloo Lattice Slice. “Innovation around vegetarian and vegan food-to-go has been a key driver of growth in 2018,” says Mary Byrne, Aryzta’s Trade Marketing Manager – Retail. Birds Eye has added a new line to its waffle range with in the guise of gluten-free, vegan Sweet Potato Waffles. The new Sweet Potato Waffles are a simple blend of lightly-seasoned sweet potato and potato mash. Baileys has launched a dairy-free, vegan variant called Baileys Almande which it says allows retailers to tap into the growing demand for dairy-free products. When it entered the soft chew hanging bag category with its newest sweet invention, Choos, Swizzels made a point of highlighting how the products is suitable for both vegetarians and vegans. Love it or hate it brand Marmite has been busy reminding shoppers and retailers that it is, and has always been, suitable for vegans.The packaging has been redesigned to make the vegan-friendly message more prominent on-pack. Windhoek Draught from Namibia Breweries has entered the UK market and, among its many credentials, list the fact that it has been produced in accordance with the German Purity Law (Reinheitsgebot) of 1516 using only the finest hops, malted barley, yeast and – and is both vegan and vegetarian friendly.